Begin by using the system map to locate the route number closet to your starting point. Next, find the route number located to your destination. 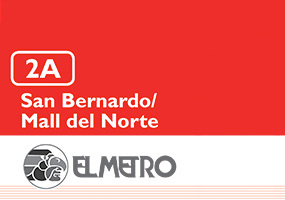 If the two route numbers are the same you have a direct El Metro route to and from your desired location. If the route numbers are not the same, you will need to change buses to complete the trip. 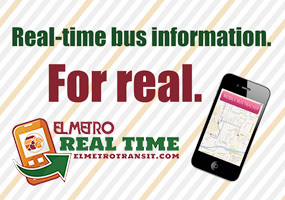 El Metro offers individual route maps and schedules of departure times. By selecting your routes and finding the hour and time points closets to your departure and arrival locations, you can estimate your travel time. Be sure to check the correct time for the day of travel as schedules differ throughout the day and on weekends and holidays. 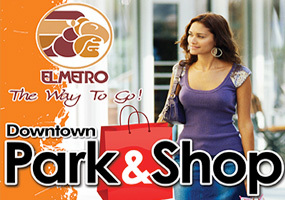 Schedules are available at El Metro Customer Service Dept at the Transit Center, 1301 Farragut St.,on our website www.elmetrotransit.com or call Customer Service at 956-795-2280 to request bus route information. El Metro bus stop signs are posted conveniently throughout our service area, many with waiting shelters and benches. Bus Operators will only stop for you if you are at a marked El Metro bus stop. When the bus approaches, check the destination sign located above the windshield. Once you have determined this is the bus you want, motion so the Bus Operator will be sure to see you. Board the bus through the front door with your exact fare. Operators do not carry cash or make change. Please be sure strollers and carts are folded before boarding. All buses are equipped with wheelchair lifts and have kneeling devices to make boarding easier for special need passengers. The seats located closet to the front of the bus are reserved for seniors and disabled persons. All passengers are required to wear shirt and shoes. Important thing to remember: If you need to change buses, please request a transfer as soon as you board. Is good only for the next vehicle leaving transfer point. When approaching your destination, signal the bus operator by pulling down the cord or pushing the strip located near the window. A bell will alert the bus operator to stop at the next El Metro bus stop sign. Be aware that bus needs more braking time than a car, so be sure to signal well in advance of your stop. Wait until the bus comes to a complete stop before standing. Please exit through the rear door whenever possible and cross the street in front of the bus. Still Need Help or have a question? 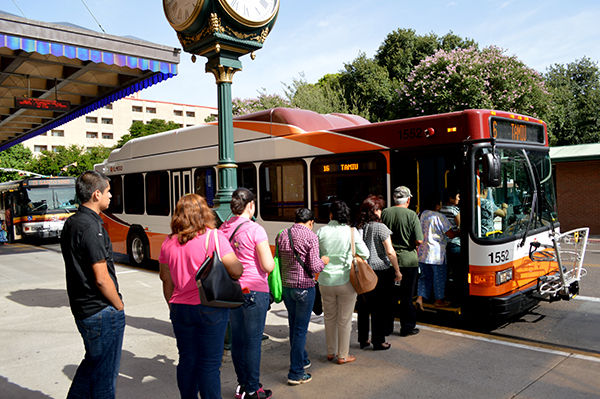 Find all the transportation help and information you need by calling the El Metro Customer Service hotline 956-795-2280 or visiting them at the Transit Center 1301 Farragut.